Book with Confidence. We are a Member of ABTA which means you have the benefit of ABTA’s assistance and Code of Conduct. We provide 100% financial protection for your money when you buy a package holiday. If you buy other travel arrangements such as accommodation only this protection doesn’t apply. Read more about your financial protection. You can see our listing and all the benefits of booking with an ABTA member on the ABTA website. Lost Earth Adventures is a fully licensed and bonded tour operator. We hold an Air Travel Organisers Licence (ATOL) no. 11312 issued by the Civil Aviation Authority (CAA), and we are bonded with the CAA. Our ATOL bond covers all holidays which include air travel. In the event of our financial failure before departure, all monies paid, except insurance premiums, will be refunded. If failure occurs while you are on your trip, the bond administrators will first of all attempt to apply the funds to complete your trip, or if this is not possible, they will ensure that you are repatriated to the UK. You can see our license listed on the Civil Aviation Authority’s website. All the flights and flight-inclusive holidays on this website are financially protected by the ATOL scheme. When you pay you will be supplied with an ATOL Certificate. Please ask for it and check to ensure that everything you booked (flights, hotels and other services) is listed on it. Please see our booking conditions for further information or for more information about financial protection and the ATOL Certificate go to: ATOL Certificate Guidance. Our membership of these organisations means that our accounts are subject to regular and stringent independent scrutiny. You can book with Lost Earth Adventures in complete confidence that all monies paid to us for trips are fully protected.  ATOL was established by the government to ensure holiday makers booking an air-package or flight booking (flights must be international and leaving from or arriving into the UK) were financially protected if their tour operator ceased trading. Our ABTA membership number is Y6492. ABTA and ABTA Members help holidaymakers to get the most from their travel and assist them when things do not go according to plan. We are obliged to maintain a high standard of service to you by ABTA’s Code of Conduct. For more information please see the Foreign and Commonwealth Office’s website.